Imagine a world without William Shakespeare. Obviously, we would have none of his plays; no Hamlet, no Romeo and Juliet, and no A Midsummer Night’s Dream. Those plays are beautiful, complex, and arguably integral to the structure of Western culture. But it gets even worse. Without Shakespeare, we would be missing out on many popular musicals and movies—no Shakespeare in Love, no West Side Story, etc. Tons of phrases we use in everyday language— “in a pickle,” “it’s all Greek to me,” even the word “eyeball”— would have never existed. No references to his plays and poems, no “Shall I Compare Thee To a Summer’s Day,” and we wouldn’t even have the Lion King. No, a world without Shakespeare is not a world I would want to live in. Well, that’s exactly the world we would have if it weren’t for two men who most people haven’t even heard of. John Heminges and Henry Condell, two real men who have been adapted into characters in this season’s The Book of Will, were the force behind preserving Shakespeare’s work in the form we see it today. Countless literary treasures would have been lost or destroyed forever if it wasn’t for them. Heminges and Condell were both members of Shakespeare’s acting company, The Queen’s— and then the King’s— Men. They not only acted for Shakespeare, but also acted with him in many of his plays. They knew the man himself, not just his words. 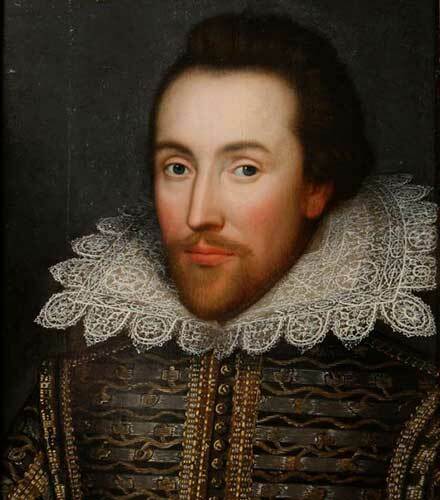 In fact, when Shakespeare died he left money for both of them to buy mourning rings— something that some scholars see as a sign that Shakespeare intended for them to collect and preserve his plays. Heminges owned stock in the Globe theatre, and Condell was probably a very important and influential player in the acting company. So who better for Shakespeare to trust to take care of his life’s work? But why did they have to preserve Shakespeare’s work? Why did they have to spend so much time and effort into collecting the plays and poetry? The answer to that is simple— there were almost no full copies of Shakespeare’s works when he died. There were Shakespeare’s foul papers, which were basically rough drafts. There were actor cue scripts, which were only fractions of the plays from the point of view of only one character. And there were forged and illegally printed copies, usually stolen and inaccurately copied by audience members or lower-ranking members of Shakespeare’s company. There may have been a couple of copies of some of the plays, but without Heminges and Condell, dozens of the plays would have been lost. Unfortunately, we don’t know much about the men themselves. Information about actors during this period is very scarce; basically, if you weren’t nobility or royalty, your life wasn’t worth recording. We do know some things; we have a few financial records, we have wills and marriage and death certificates, and we have a few accounts mentioning their names. Heminges was a grocer who married the widow of another actor; he owned shares in the Globe theatre and acted alongside Shakespeare, Condell, and Richard Burbage—the man who most people say was the best tragedian of the time. As for Condell, we know even less. We know he married and had nine children, we know he in Shakespeare’s will, and we know that he partnered with Heminges to edit and produce the First Folio. It seems so unfair that we know so little about the men to whom we owe so much. The Book of Will is quite accurate, as far as factual information goes; through the play, we get a good look at the men who saved the greatest literary treasures of the English language, and we get a really good glimpse at how important Shakespeare’s work is. We get to see historical figures and writers and actors who we’ve heard stories about for years—Richard Burbage, Ben Jonson, and other characters who made up Shakespeare’s workforce and colleagues. It’s comedy and it’s touching. Through this play we get to see what Shakespeare means to people—what it meant to them then, and what it means to us now. We get to see the stories of two men who have gone relatively unnoticed by history, but who have changed the course of history for the better. You won’t want to miss the chance to see this show this summer; in the Engelstad Shakespeare Theatre; you’ll feel like you’ve been transported back into the lives of Heminges, Condell, and even the Bard himself.